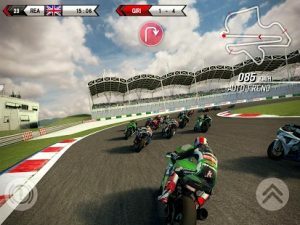 SBK15 Official : With over 4.5 million downloads under its belt and the support of passionate fans worldwide, the SBK Official Mobile Game is back for a new season. SBK15 Official was developed in conjunction with Dorna WSBK Organization to ensure an accurate representation of the white-knuckle Superbike racing style and offer the most realistic motorcycle racing experience on mobile. S.T. 3 ADS IN A ROW AFTER EACH EVENT OF A RACE IS BULL. Great physics feels pretty close to a real ride but stop being stingy with ads.